Globalization has led to a tremendous growth of international trade over the last century amounting to $18.8 trillion in 2014. Approximately 90% of non-bulk cargo is transported in shipping containers. The dominant mode in container transportation is maritime, in which containers are transported from a seaport to another seaport around the globe. Import containers are discharged in seaport container terminals and are destined to inland locations, a reverse process happens for export containers. The inland terminals can be close or far away from the seaport terminals where the containers were discharged. 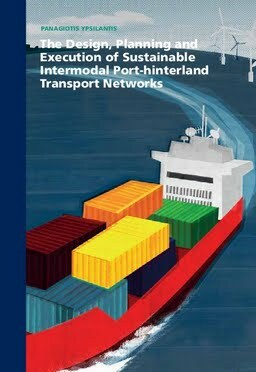 The container transport between the seaport and the inland locations is called port-hinterland transportation. Given the specific physical characteristics and infrastructure of each area this part of the transportation chain can be performed via trucks, trains or river vessels. The sequential use of multiple transport modes in port-hinterland transport is called combined transport. The main aim of this study is to analyze the port-hinterland transportation process and to develop models that support the design, planning and execution of port-hinterland transportation networks with high capacity modes such as barges and trains.